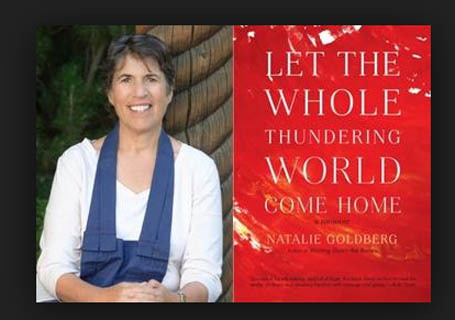 On Tuesday, June 19th at 6:30 pm, Writing Down the Bones author Natalie Goldberg will speak at Eagle Harbor Books about her new memoir, Let the Whole Thundering World Come Home, in which she explores her experience with cancer. In this podcast, BCB host Christina Hulet talks with Natalie about both the experience of writing this book, and what is clearer to her now after cancer. How does Natalie live her life today? What has become more important, and less important? “When you go through extreme sickness, when everything you know and lived is tossed out the window and glass shatters . . . this, too, is part of life. Don’t give up. Pay attention. We have to make ourselves larger to include the inconceivable.” Through a direct and grounded narrative, Natalie illuminates a path through illness: that we need to be in love with the life we have, to embrace the dark and the light in our life. Balanced with a Zen practice that helps her to face death, this book is a moving meditation on living life in full bloom. Don’t miss this rare opportunity to join Natalie Goldberg and bask in her wisdom: come to Eagle Harbor Books June 19th at 6:30 p.m. 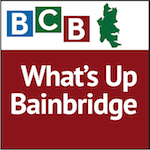 Credits: BCB host: Christina Hulet; BCB audio editor and publisher: Diane Walker; social media: Jen St. Louis.